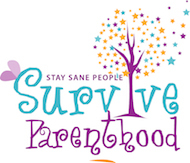 We do quite a few toy reviews here on Survive Parenthood, and that’s because you just can’t go wrong with a good toy. Not only does it make your kids happy for a long period of time, but it gives you those moments of sanity you need to collect yourself and get on with your day. 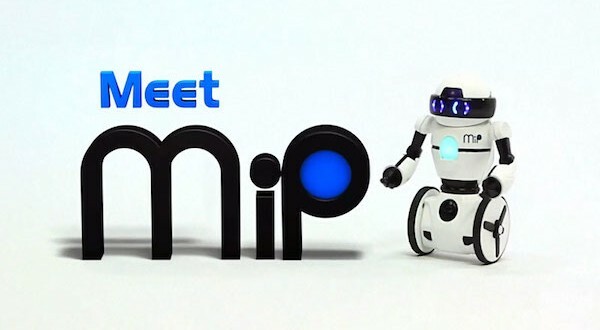 I recently had the chance to try out MIP, the Balancing Robot for Best Buy. He’s a small, plastic robot that looks a lot like Eve from Wall-e, but he runs on two wheels like a Segway. But even though he’s small, he’s seriously high tech. MIP can be controlled by hand gestures or via an iTunes or Android app. We tried with both and we liked the app the best, because the app had the most options for play. You can put on your iTunes playlist and dance with your MIP, trace your finger along your screen and have him follow you, or box with him. Plus, you can add another MIP to the mix and you’ll be able to have them battle it out. This is a toy that’s seriously cute, so expect your kids to want to take MIP to bed like a stuffy. The best part though, is how MIP can carry things. One of my kids has always asked for a robot butler, so when MIP came along with his tray, we tried all sorts of different foods and drinks on him. He’s very stable, and he carted an apple straight down the hallways and back without tipping. Check out my full review of MIP on Best Buy and be sure to watch the video I included. I think MIP will be one of the hot toys of 2014.